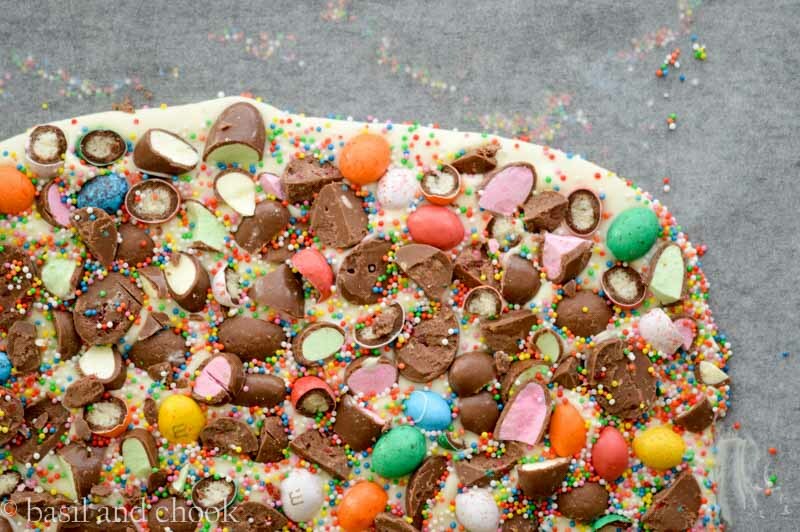 Maybe Rainbow Bark as there are so many different colours? 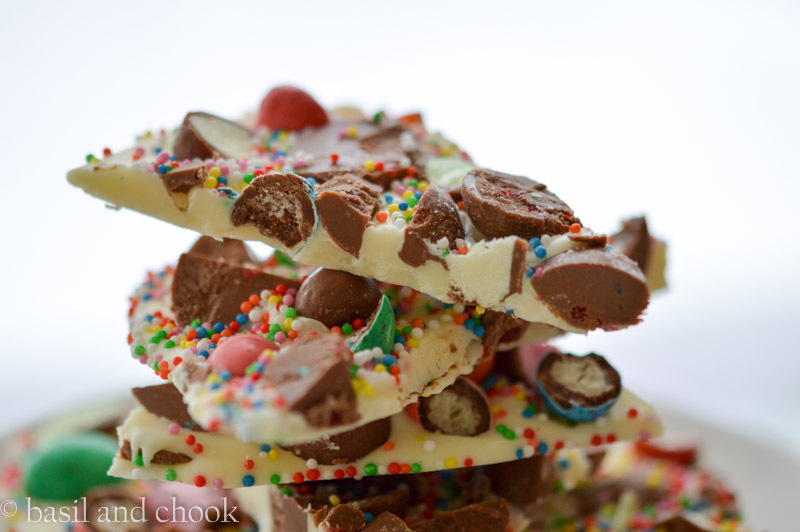 The Bark is very easy to make, and the best bit is, it uses up those Easter eggs that we have sitting in our cupboard or like I have, spread all over the kitchen bench. Melt the 375gms of white chocolate as per directions on the packet. I melted mine on low in the microwave. Pour the melted white chocolate onto the baking paper, and using a spatula or spoon, spread it into an even layer about ¼-inch thick. 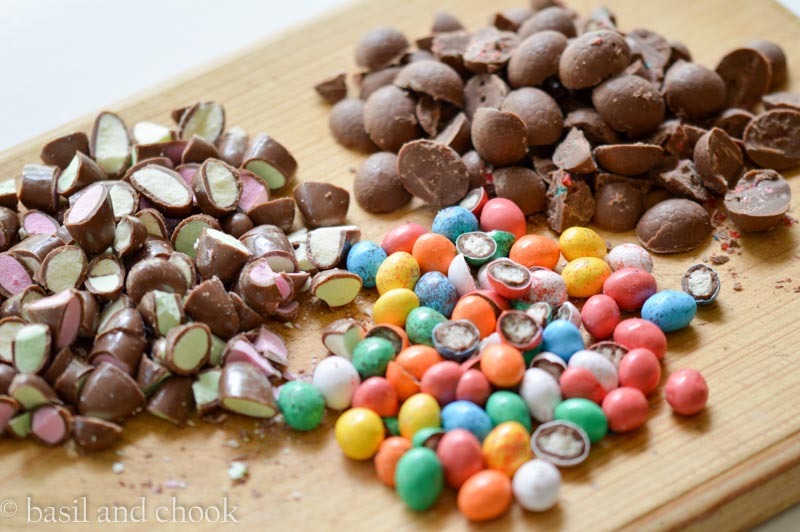 Sprinkle all of the chopped chocolate on top then place the baking sheet in the fridge to chill for 30 to 45 minutes or until the chocolate has set. Remove the bark from the fridge and carefully slide it onto a cutting board. Cut the bark into irregularly shaped pieces. Keep in an airtight container in a cool place for up to one week. 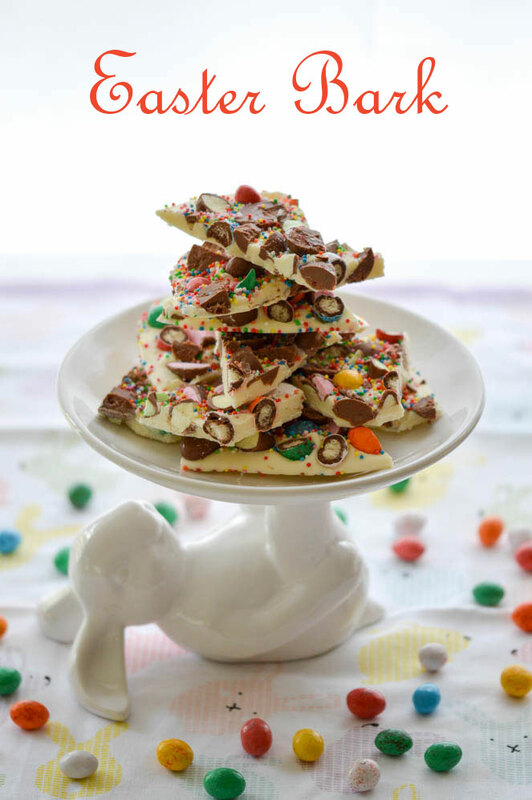 So if you have an abundance of Easter chocolate left over, make a batch of Easter Bark. If you don’t want to consume any more chocolate yourself, then make it for your friends and family. 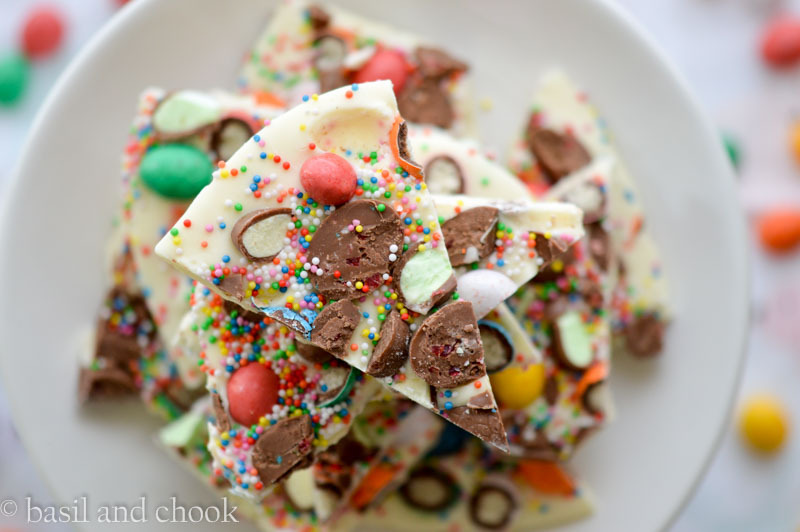 The Easter Bark is lovely to have with coffee or a cup of tea. How is your Easter egg situation? Too much or not enough? Simone this bark looks so delicious and your photography is just gorgeous! 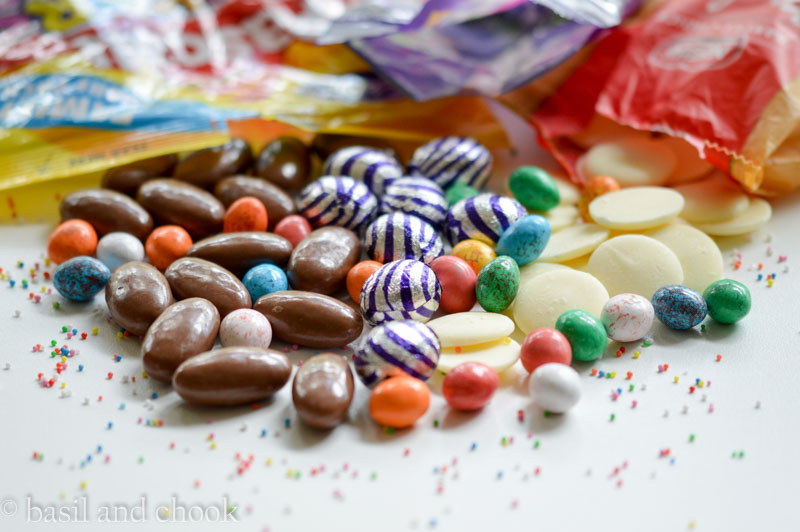 Thanks for linking up with us over at Fabulous Foodie Fridays, have a gorgeous weekend.